After Samsung recently reported that it plans to sell about 10 million Galaxy Tabsaround the world, Maynard Um with the UBS Investment research reported that the iPad is expected to see a sharp rise in sales. 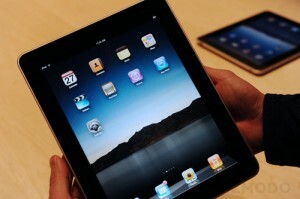 The report projected that Apple will sell at least 28 million iPads in 2011. Maynard Um said that it was beyond doubt that the iPad was having positive affect on Apple and Mac sales and that it was affecting the PC industry. Maynard also suggested that in 2011, iPad will eat away into sales of laptops and pcs. It is also being widely rumored that iPad 2 might be out during the holiday season while there are no confirmed reports. Maynard said that the 28 million might in fact be a conservative number and the actual sales figures can be much more higher. It does seem like the iPad will remain on the top for a while without regard to the flood of Android based devices in the market. Previous Church to Bless Cell Phones, Computers! Next Soon Your Smart Phone will run at 2.5GHz with 1 Tera Byte Memory!